Cascade Locks cidery Son of Man makes a wild-fermented quaff that's funky and salty. Estate wines. Single-origin coffee. Micro-lot Darjeeling. In the world of high-end beverages, there’s cachet in worshipping one varietal—be it grape, bean, or leaf—from a specific locale. But apples? Not so much. “Cidermakers will tell you it’s a really bad idea,” says Jasper Smith, co-owner of nine-month-old Cascade Locks cidery Son of Man. “One apple doesn’t have all the things you need,” Smith says, noting the x-factor you get with a blend. 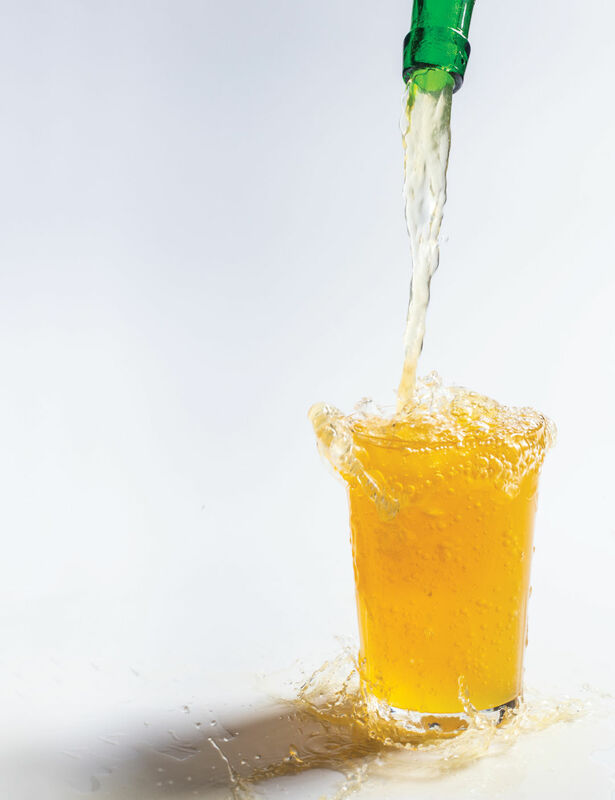 Instead, Son of Man, which released its first Oregon bottles and kegs this February, follows a centuries-old approach perfected in Europe’s Basque country—blending upward of 20 apple varieties into a wild-fermented quaff that’s funky and salty, with a bite of vinegar and Brettanomyces (that tang-imparting bacteria found in farmhouse ales). Smith, an Oregon native smitten by the flavor profile, says Son of Man is the Northwest’s first Basque-style cidery. And he’s confident that this lighter, brighter take will win fans here, in a market saturated with sweet, high-alcohol ciders redolent of apple spice. 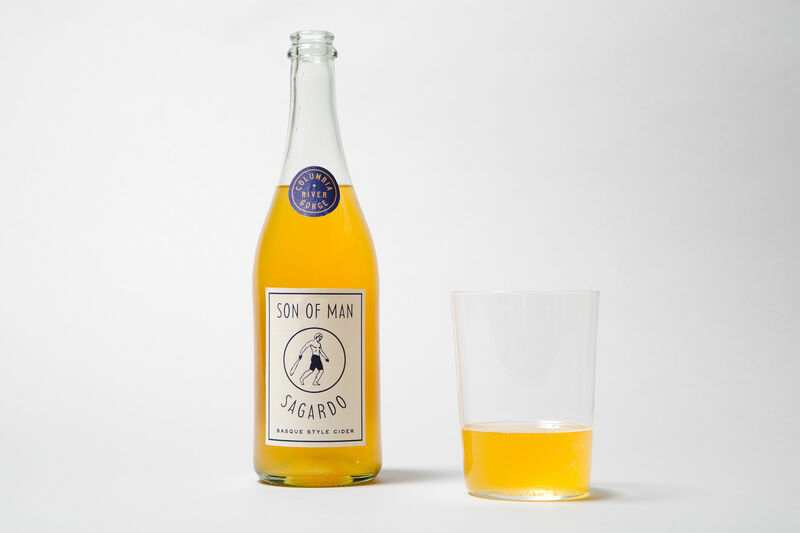 This past summer, Smith challenged those palates with Son of Man Madre, a cider he made in Spain with business partner Guillermo Castaños and imported to Oregon. That “mother cider,” refreshingly tart and bone dry per the classic Basque style, is still available at a handful of Portland bottle shops and restaurants like Bar Casa Vale. Now, it’s joined by the newly released Son of Man Sagardo, the cidery’s first product made with Oregon-grown apples. Smith won’t divulge the types of apples he and Castaños blended, nor the specific orchards they enlisted. In part, he admits, he’s protecting his local sources. But he also wants the focus on flavor, rather than just fruit provenance: how well his cider pairs with food, friends, or a sunny day along the Sandy River. 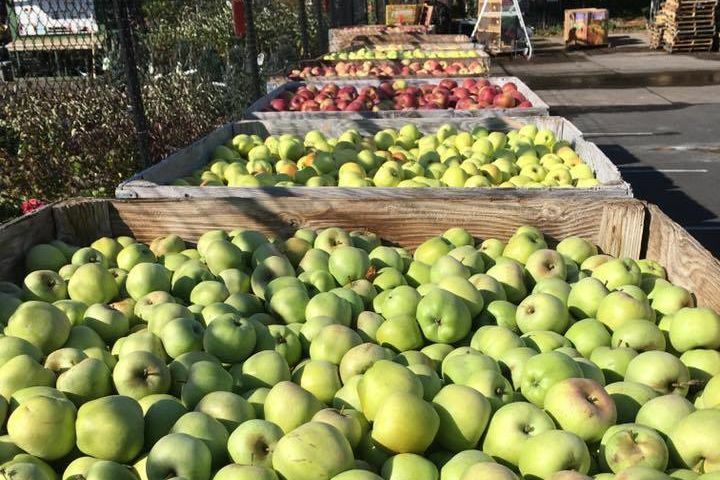 Not even Basque cider—which Smith says employs a bit of “smoke and mirrors” to maintain its nationalistic image—can rely solely on local apples to supply the right mix.